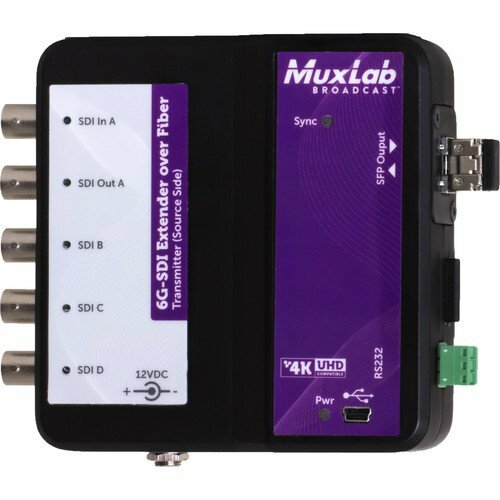 MuxLab 500734-SM80 6G-SDI Extender over Fiber Optic with Return Channel (Up to 49.7 mi) is a unique solution from MuxLab for extending SDI cameras or other SDI sources in up to 4K resolutions to a distance of up to 400m (1300ft) using OM4 multi-mode fiber (model 500734), 10km (33,000ft) using single-mode fiber (model 500734-SM10), 40km (132,000ft) using single-mode fiber (model 500734-SM40), and 80km (264,000ft) using single-mode fiber (model 500734-SM80). 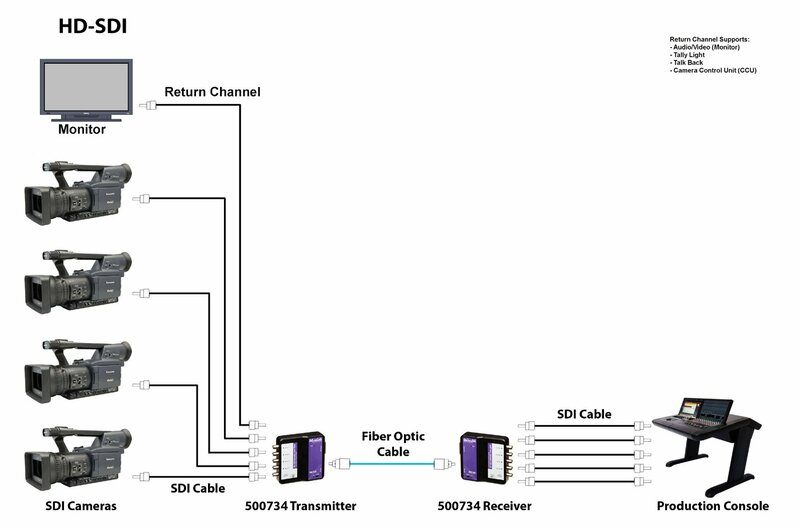 The product supports multichannel transmission, and can simultaneously transmit up to 9Gbps of data throughput over the fiber link, and allows for versatile combinations of sources, including 6G-SDI, 3G-SDI and HD-SDI. The unit supports simultaneous transmission of mixed signals such as one 6G-SDI signal + one 3G-SDI, or two 3G-SDI signals + two HD-SDI signals, and many other combinations up to 9Gbps. Why not buy this MuxLab 500734-SM80 6G-SDI Extender over Fiber Optic with Return Channel (Up to 49.7 mi) today?